So your looking for a man and van Bristol. Maybe you are a student looking to move back home for the summer or just across Bristol to your new flat or house, maybe you have some furniture which needs dismantling transporting and reassembling. Have you left things to the last minute, would you rather get someone with some experience to handle the dismantling and reassembly of your furniture? Do you get lost in those ridiculous diagrams and step by step instructions with hundreds of tiny screws and little fiddly parts that get lost in gaps between floor boards and chewed up by the dog. And even if you can make some sense of the diagrams you don’t have the tools. So you need to go and by new tools just for the job. So instead your calling around man and van Bristol service and finding that some don’t offer a furniture dismantling or reassembly service and if they do they charge additional rates for it. And when they arrive they forgot the tools or the tools they have don’t fit the specific furniture you have, and when you get to the other end you find that some vital bits are missing. All you want is a man and van Bristol service that has the tools and experience needed to dismantle, safely transport ( with all the little screws and tiny parts) and re assemble so you don’t have to. Is that so hard? The answer is no. Its not so hard not for On The Dot Man and Van. Imagine a man and van Bristol service that has all the tools for the job, that turns up on time and calmly and carefully dismantles all your furniture keeping all the necessary screws and parts in a safe place. Imagine a service that is quick and efficient experienced in dismantling all sorts of furniture from bespoke tables and chairs to 3 door Ikea wardrobes. Imagine just kicking back and having a cup of tea whilst the stress of dismantling and reassembling furniture is taken care of by an experienced professional. Imagine a man and van Bristol service that arrives at the delivery address organised with all the screws and parts ready to go and can assemble your furniture in the room of your choice. Imagine the time you will save that you can spend doing more important things that you never get round to doing instead of getting a headache staring at diagrams of furniture. Imagine no more On The Dot Man and Van make this happen 7 days a week. 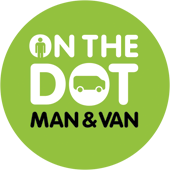 Our man and van Bristol service is available to book now.